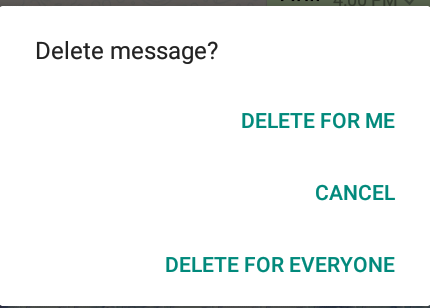 Friends whatsapp’s new feature which has most waited has launched now that is delete for everyone. By using this feature user can delete or recall the message which may be text,image,gif,video or contact. 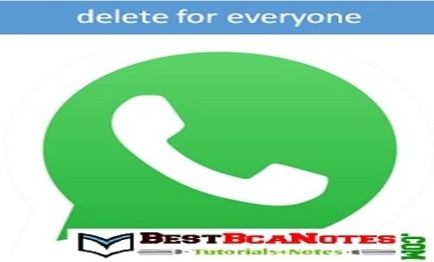 Before on whatsapp if any user sends message to the individual user or in group he can’t delete that message. If any wrong message or message without intention or if any message is to be sent to the user or in group user cant delete that message so that user wants this type of feature from long time. And whatsapp also worked for long time and launched this feature. So lets see how to recall or delete sent messages and what are the terms and conditions for deleting messages. -message can be delete for individual user as well as in group also. Now select the last one i.e. deletes for everyone option. 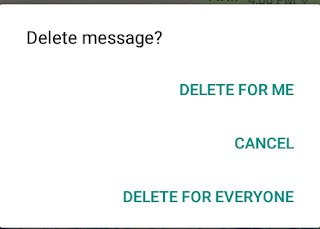 Nice it will delete the message that you have sent. This feature can be used only within 7 minutes from you sent message. Even if you deleted the message by using this feature recipient gets a message like message were deleted.